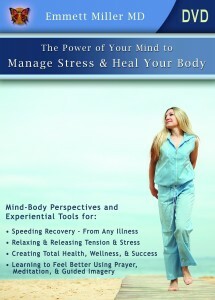 Can your thought, your images, and your beliefs directly affect individual cells and produce healing change? And how does this happen? 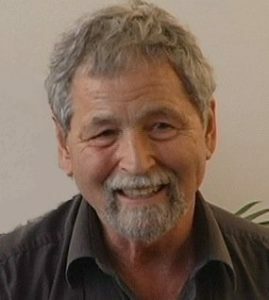 Today’s guest, one of the prime movers of the holistic and self-healing revolution has studied this in the laboratory and says “Absolutely yes!” On this episode you will hear how this Stanford-trained Life Fellow of the College of Obstetrics and Gynecology, former chief of OB-GYN at Carmel Community Hospital woke up to his life calling – To Heal With Love – in the 1970s. He will share with us his experiments in university laboratories with biophysicists and Neurochemists, and how the growth of cancer cells and of pathogenic bacteria can be inhibited right there on the petri dish through the power of thought, spirit, and setting intention. You will learn of how he has changed the lives of thousands through visualization, the laying on of hands, and the guiding of the body into coherence. 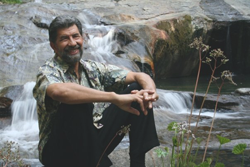 You will learn about his book, aptly entitled Healing With Love, and his more recent work and upcoming book on self-forgiveness, unconditional love, and awakening to our essential nature. Finally, you will experience guided imagery to awaken your inner experience of love and guide it towards the healing of mind and body. 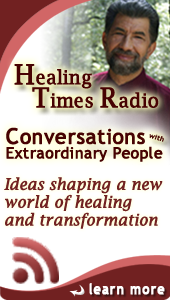 Healing with Love presents a highly regarded physician’s practical, step-by-step program that shows how to turn on the power of our whole beings-hands, heart, and higher consciousness-to heal ourselves and others. Here are the extraordinary and learn-able techniques that have transformed live around the world. “Love is truth and beyond sentiment. It is the ultimate healer. 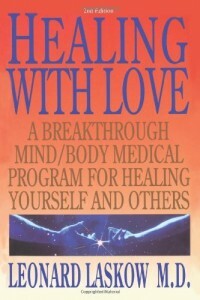 Healing with Love offers practical insight into the mechanics of restoration of wholeness. 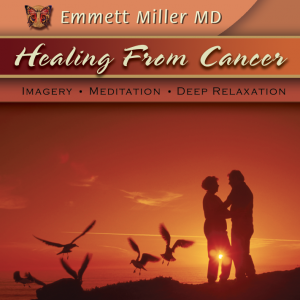 A person who has received a diagnosis of cancer has two issues to deal with: cancer, the disease, and cancer, the Illness. As you listen to this program you will learn mind-tools of deep relaxation (meditation), focused awareness, and guided imagery (visualization) – self-applied techniques to enable you to heal. The mind–tools presented in this program can help you change your attitudes, positively impact how you feel and function, improve survival, and help minimize symptoms and side effects of treatment.